This versatile sofa table is a wonderful addition to any living room, whether it's taking residence behind your sofa or up against a wall. Without being too intrusive, this industrial piece offers extra space to set decorative items, books, or anything else. Complete with a beautiful walnut-finished top and metal-finished base, it is both practical and attractive. 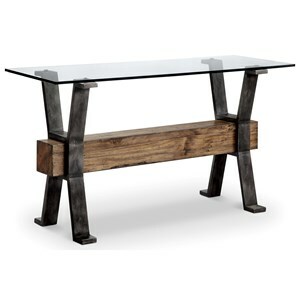 The 70564 Industrial Sofa Table by Coaster at Rife's Home Furniture in the Eugene, Springfield, Albany, Coos Bay, Corvallis, Roseburg, Oregon area. Product availability may vary. Contact us for the most current availability on this product. 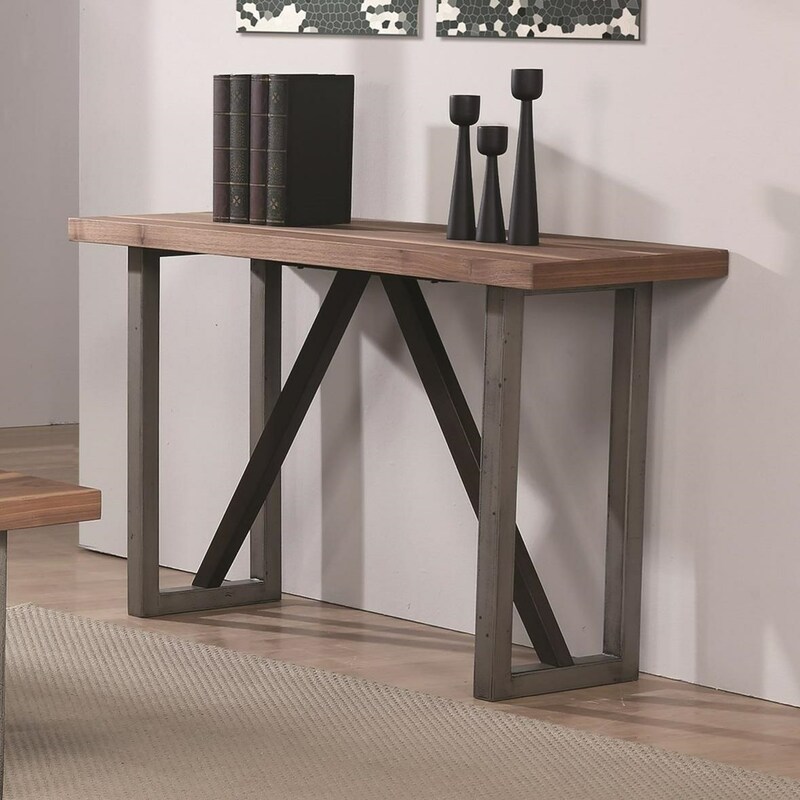 705649B1 Sofa Table 1 0" 0" 0"
705649B2 Sofa Table 1 0" 0" 0"
The 70564 collection is a great option if you are looking for Industrial furniture in the Eugene, Springfield, Albany, Coos Bay, Corvallis, Roseburg, Oregon area. Browse other items in the 70564 collection from Rife's Home Furniture in the Eugene, Springfield, Albany, Coos Bay, Corvallis, Roseburg, Oregon area.